The Eric Liddell Centre has several rooms and suits of various sizes available to hire to clubs, charities, organisations and companies. The Centre is located an eight minute bus ride away from the very heart of the city centre. Our service includes the hire of a room and setting up of required furniture. 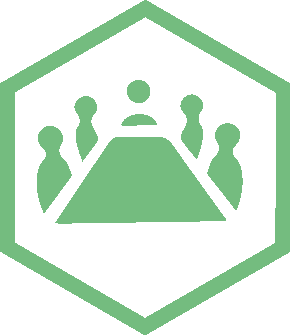 Please see more information from the list below to find out more. 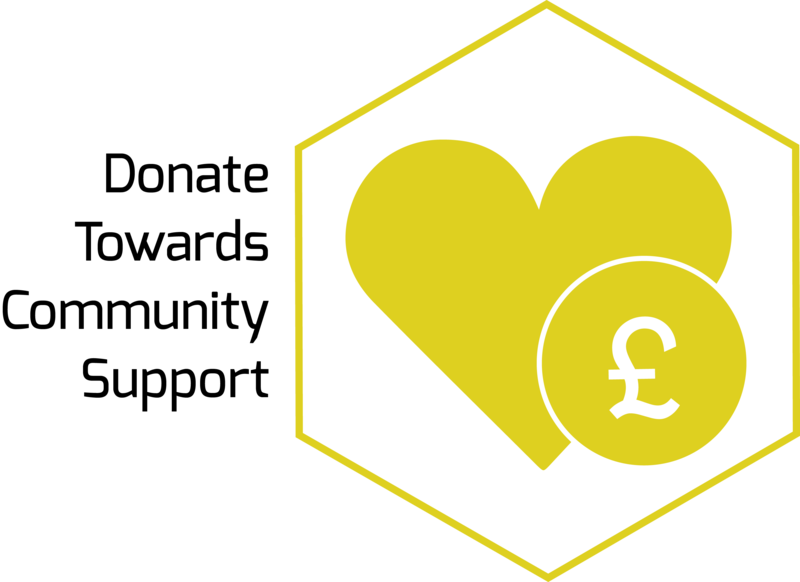 A guide on room hire prices can also be viewed here. A large room with wooden flooring, the Robertson Suite is ideal for training events, exercise classes and meetings. 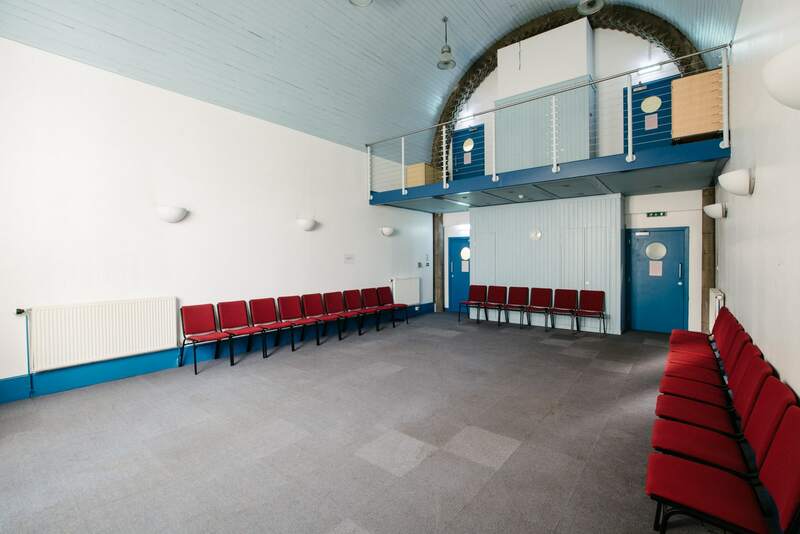 With ceiling-high windows on either side, this suite has a bright and airy feel to it but blinds can be drawn to ensure privacy; it can be set up according to the needs of your event and is very easily accessible. 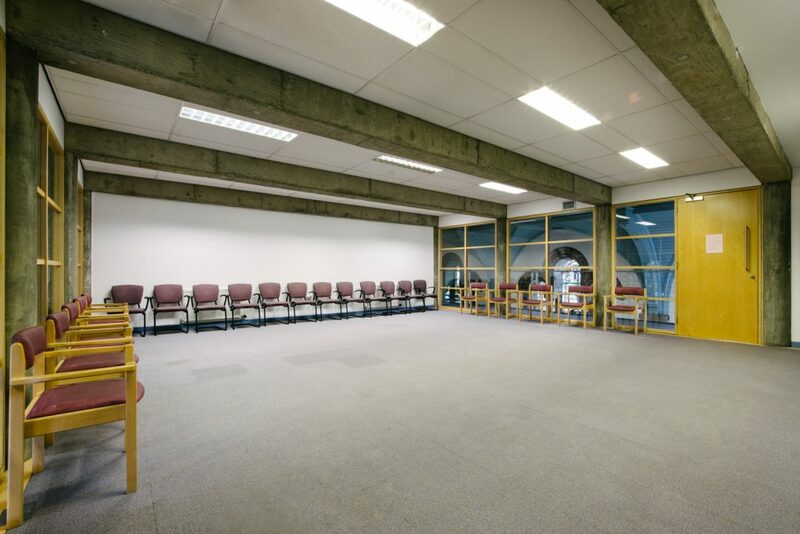 A large welcoming room on the ground floor of the Centre, the South Wing is fully carpeted and easily accessible, making it ideal for events, presentations, meetings and exercise classes. The room can be set up in a variety of ways depending on your needs. 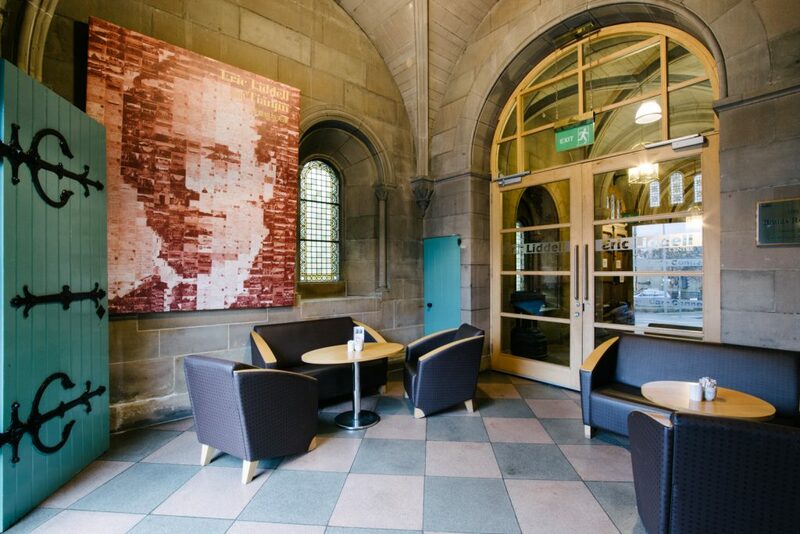 The Café Annex: Situated on the ground floor of the Centre, the Café Annex is perfect for a meeting of up to 12 people. Its large plate-glass window overlooking Mornignside Road affords the room lots of light making it bright and cheerful; its furniture consists of a mix of leather sofas and wooden chairs that can be rearranged but not removed. *Book in moments wherever you are using the Regus App. This is a light, spacious carpeted room with windows on either side; it is situated on the 3rd floor and is accessible by lift. 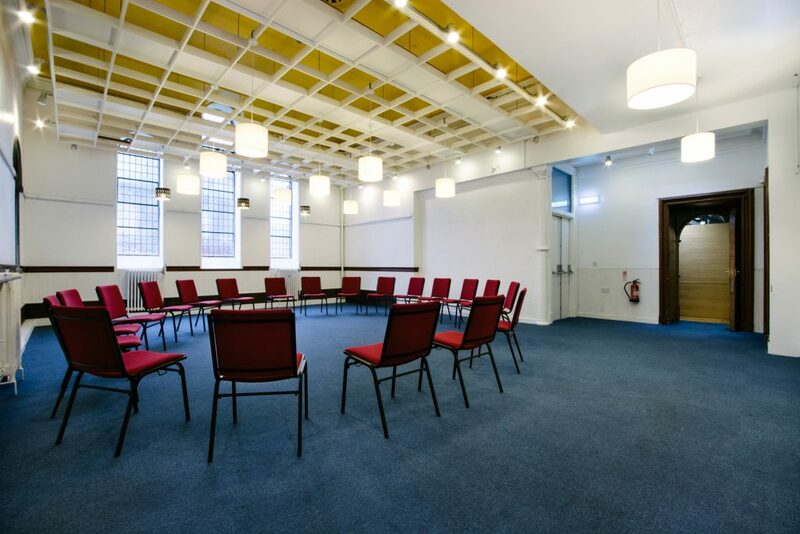 The room can hold up to 40 people and is ideal both for exercise classes and for training sessions or meetings. There is a small catering sink with hot and cold running water and can be set up according to preference. Please note that for safety reasons, we ask that rooms on the 3rd floor are not booked for children’s events. 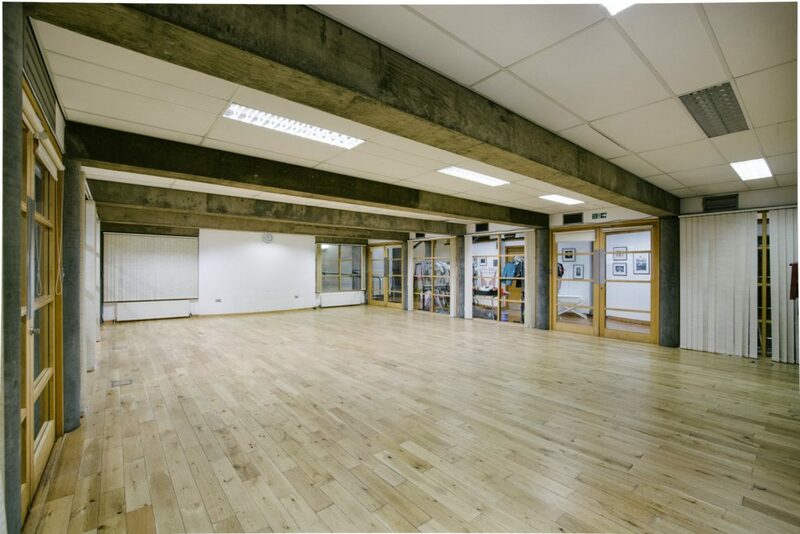 A spacious carpeted room with a high ceiling which lends itself particularly well to training events as it is situated at the back of the building away from the bustle of the ground floor and café area. Its three windows offer it plenty of light and it can be set up according to your requirements. Located on the top floor of the building, the Myreside suite is fully accessible by lift or stairs. 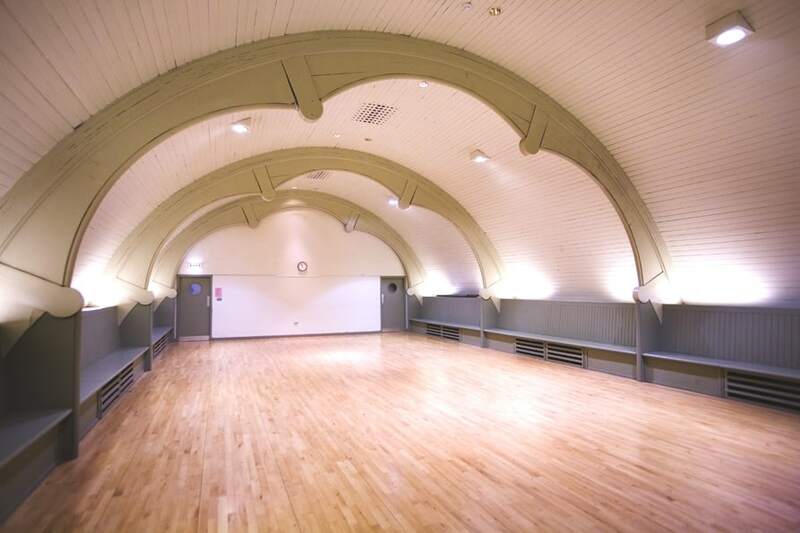 The suite lends itself well to activities such as dancing, martial arts, theatrical rehearsals, ceilidhs and parties. We have a number of different offices to rent, please contact us for more details and pictures.